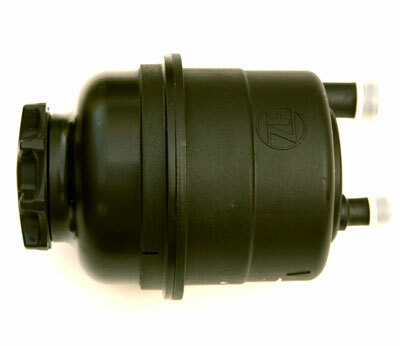 The Porsche 944 power steering reservoir not only holds fluid for your power steering system, it contains an integral filter that constantly removes containments. Usually when any part of the power steering system is removed or the fluid is drained it is a good idea to replace this part. 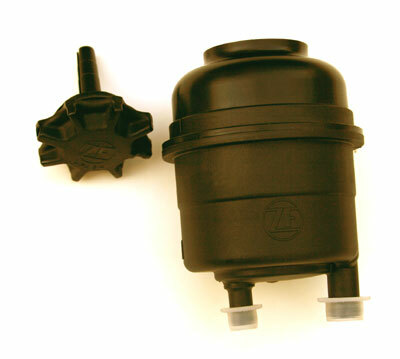 Keeping a fresh reservoir in place will greatly prolong the life of all of the components in your power steering system.